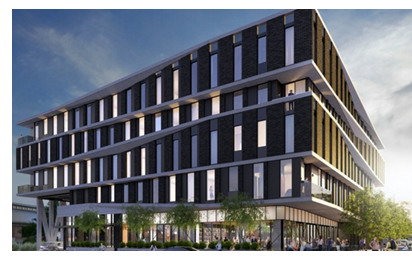 ​​​AUSTIN – Work started on the 83-room Arrive hotel at East Sixth and Chicon streets with plans to open in spring 2019. The site was occupied by a Goodwill warehouse that has since been vacated and will be razed. According to a filing with the state Department of Licensing and Regulation, the hotel will cost about $17 million to build. It’s expected to employ about 140 people. It will be the second Arrive hotel; the first is in Palm Springs, California, and debuted in 2016.